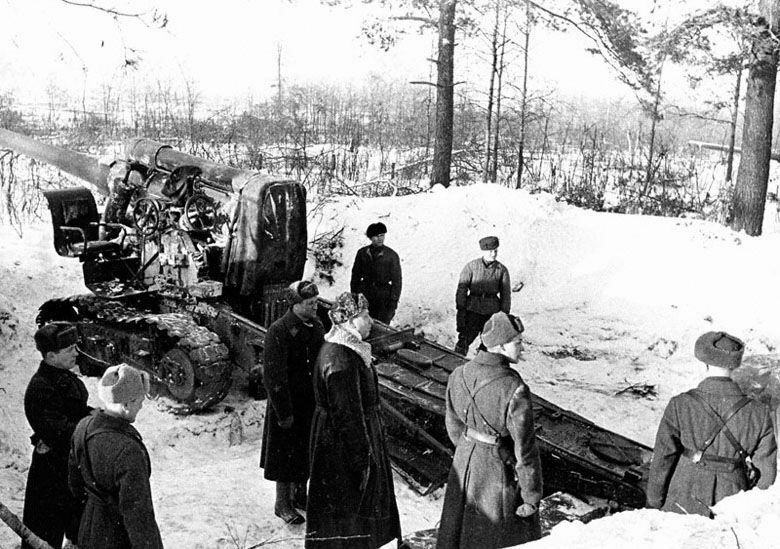 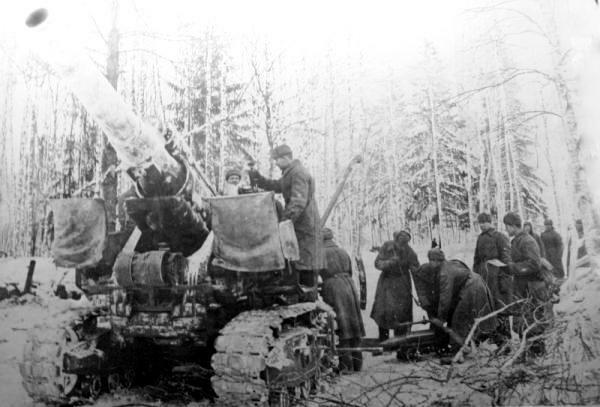 Powerfull WW2 Artillery of USSR: Crew 15 men. 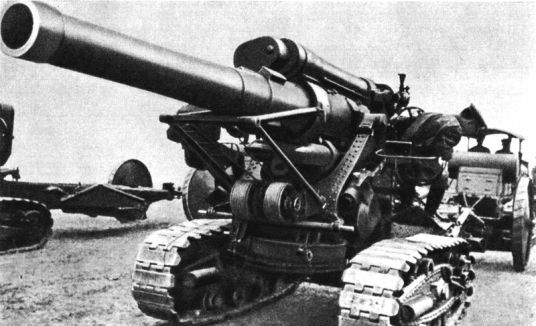 Horizontal aim angle = 8 grad, vertical aim angle = 0 to 60 grad. 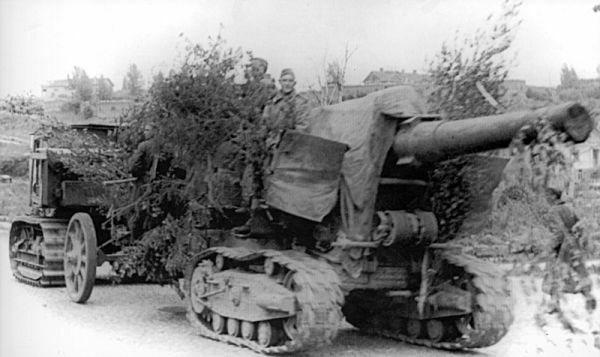 Also were built several 210-mm guns BR-17 and several 305-mm howitzers BR-18. 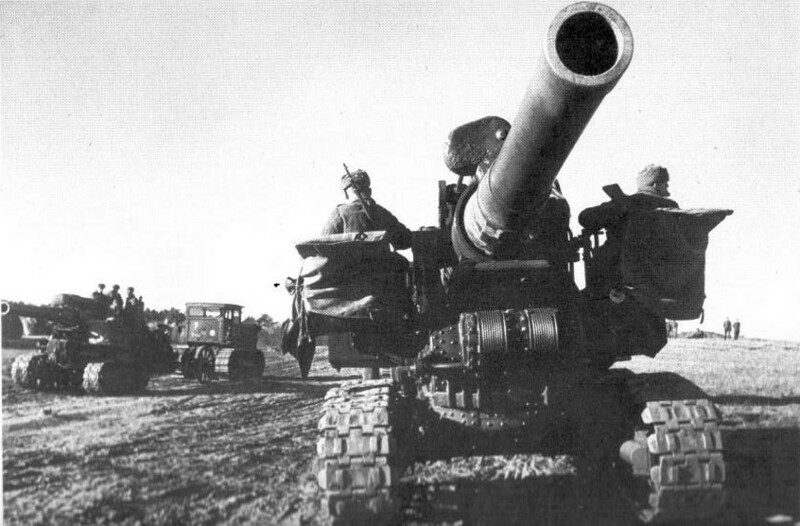 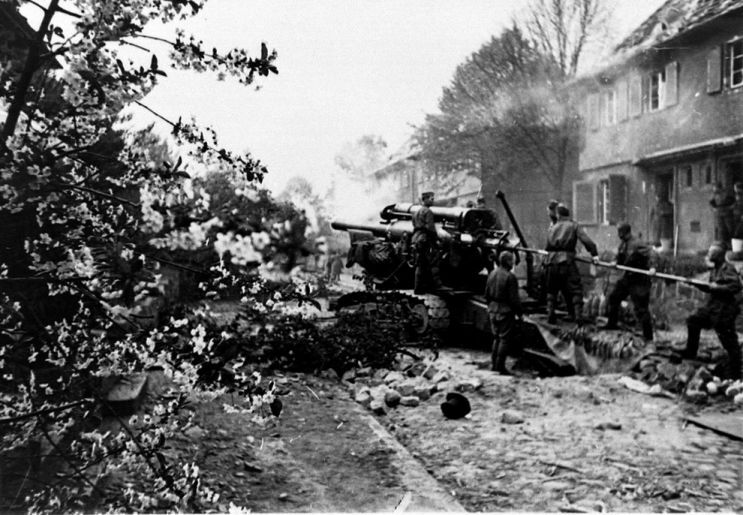 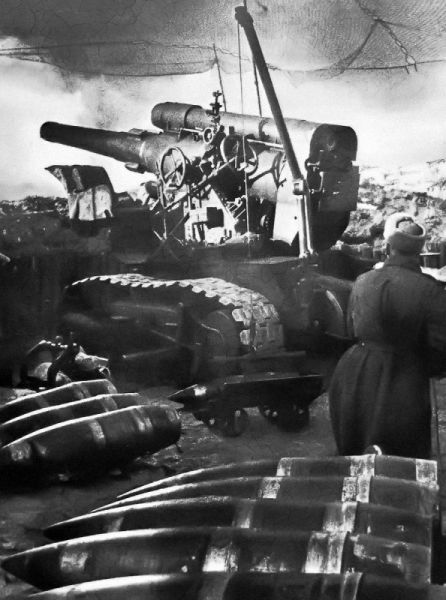 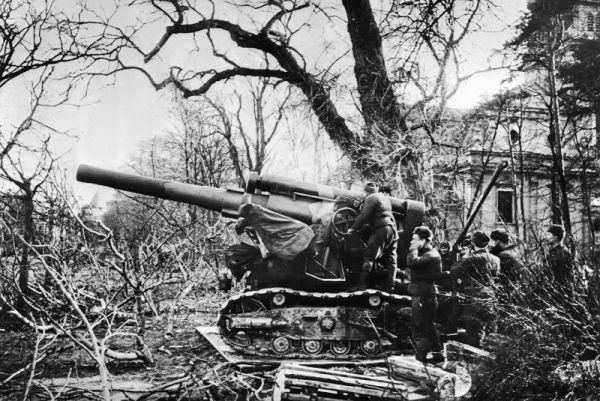 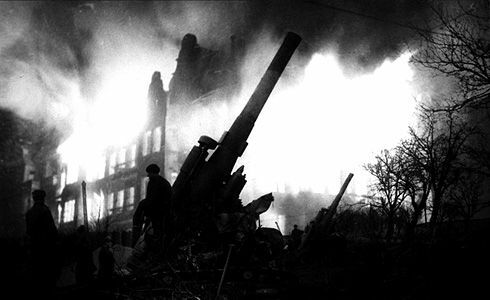 Soviet 203-mm B-4MM howitzer in action.